Dragon Legends: Myth or Half-Truth? From the wise serpentine dragons of the East, to the hulking dreaded dragons of Europe, and on to the giant serpents of the sea — dragons have become ingrained in our subconscious. Dragon legends stretch beyond folklore and into the hearts and minds of artists, writers, and storytellers. From the old Viking sagas of “Sigurd and Fafnir’”and “Beowulf’” to “The Yellow Emperor” of Chinese legend and onto the likes of Smaug in “The Hobbit”, we all know them and love them. But have you ever stopped to think how alike they all are? You have? Now consider how widespread and old these stories are. Coincidence? 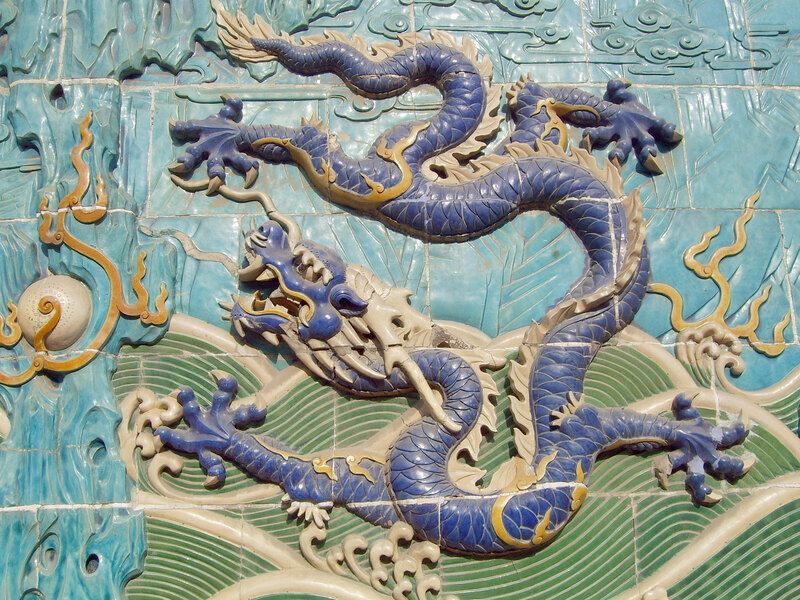 The Chinese dragon we are all familiar with from the many Chinese New Year celebrations we see around this diverse country of the UK, are considered sacred by Chinese people. They are thought to be wise and knowledgeable, and often take the form of the helper in stories out of the east. Long and slender they appear; sleek and delicate, but massive in size. Sometimes flightless and lacking wings, but always graceful and elegant; their long, moustache like adornments similar to those depicted on Chinese emperors, a further symbol of their wisdom and power. This being said, they are all depicted as having four legs, being covered in scales, and having the ability to control an element; whether it be fire or, more commonly, water. Sound familiar? Then there are the serpents of the sea — those giant, snake-like creatures that prey on ships and were sang about by the sailors from the Netherlands to Greece throughout the generations. Sleek, elegant, and long, and covered in scales — essentially dragons without legs or wings. We then get to the European dragons. These magnificent creatures are as far removed in stature from their Chinese cousins as you can get. Feared and loathed by most, they are thought to be unintelligent beasts, preying on livestock and wreaking havoc. They are depicted as having four legs and two giant wings. Their body is also covered in scales. They can breathe fire and make for a formidable foe. Could these different stories from the four corners of the earth all have a common thread? If we look back at the fossil records, nothing like the three examples I have given have been found after the K/T extinction event; the episode which wiped out the dinosaurs. However, there has been a dinosaur discovered that bears more than a passing resemblance to the dragons that we know today. The Dracorex Hogwartsia is a dinosaur that, when seen, doesn’t take too much imagination to link the dots and see the resemblance. With it’s rugged thorny skull topped with a crown of horns, it could easily be mistaken for any of the dragon skull sculptures found on the set of Game of Thrones. 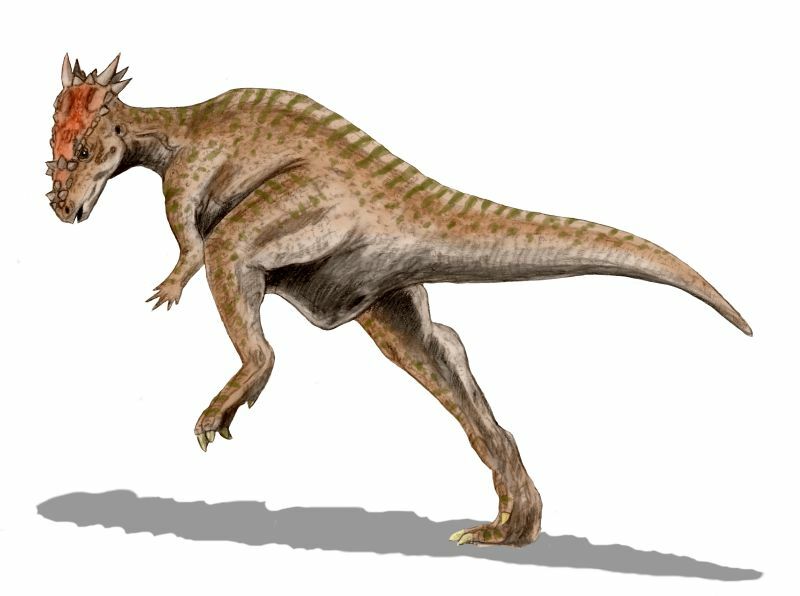 Found in 2003, the dragon-like dinosaur gains its name from two sources. The first, Dracorex, being Latin for ‘Dragon king’, and the second coming from the great J.K. Rowling herself and her school of wizardry and witchcraft: Hogwarts. A magical name for a truly mystical find. Could our stories of dragons, then, be some long lost memory of a species of dinosaur that survived the extinction? Or something else? When we look at nature we see many creatures that bear dragon – like features. Some are even called dragons; such as the Komodo dragons, the largest living species of lizard. Another reptile known as the horned lizard squirts blood from its eyes to scare off predators. Could this be perceived as breathing fire? Similarly, many reptiles flick forked tongues as a sensor — from a distance, could this be mistaken for a flickering flame? As for wings and flying, we need look no further than the Draco family of lizards; they have a membrane connecting their front legs to their body which they use to glide between trees. Even the name Draco is Latin for dragon. And let’s not forget the crocodilian family; these ancient creatures, whilst slow and lumbering, are very dragon — like in their appearance, with solid scaly armour, skin ripping claws and bone crushing jaws. The antlers of a deer. The head of a crocodile. A demon’s eyes. The neck of a snake. A tortoise’s viscera. A hawk’s claws. The palms of a tiger. A cow’s ears. And it hears through its horns, its ears being deprived of all power of hearing. We can also look at how folk tales and stories have been passed down through the ages for our answers. A simple story of two men out hunting and being attacked by a crocodile, with one man meeting his doom whilst the other defeats the creature, is exciting and provides us with a valuable life lesson to beware of wild animals. Fast forward a few hundred years and that story is still being told only the ordeal is longer, and the crocodile has grown in size and acquired a few extra features to keep the listener’s interest. It is not that great a leap then to imagine, as the story spreads across the world, each storyteller adding their own, unique feature to the beast, and so the dragon is created. In more recent times, our image of dragons have become more fixed thanks to the written word and printed images, both stunting our imagination and cementing the visual look of the dragon in our subconscious. More modern writers have merged two different types such as the aforementioned Smaug. 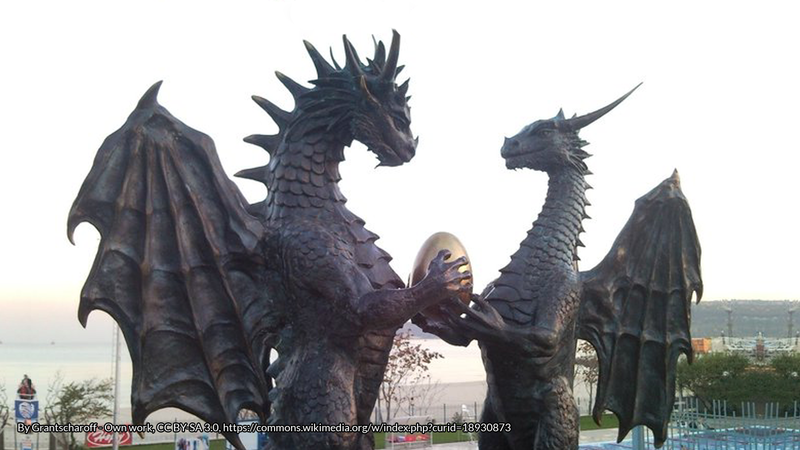 Tolkien modeled the look of his dragon on the great dragons of Europe, but gave him the wisdom of the Eastern dragons. Smaug’s ancestors were later described as great worms that slithered on their bellies across the land, similar to the creation stories of Indigenous Australians. No matter what the dragon, from wherever it is from, they still captivate us today, and keep us asking why and where did they come from? And there will always be a part of us that hopes that, maybe, just maybe, they were real after all. 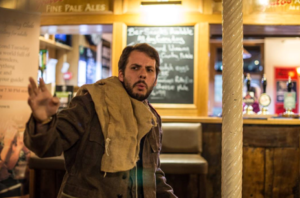 A teacher by trade, Tom has branched out into the world of traditional storytelling. Over the last 7 years he has developed his art and now tells traditional tales, myths, legends, folklore and original stories to young and old across the country. Currently writing his first children’s novel, Tom has already penned several short stories and had articles published in the Society for Storytellers magazine, Storylines. Follow him on Twitter or visit his website.